I've been writing in the last couple of posts about the differences between downhill mountain biking and cross country riding. These are two very different sports, and if you're going to transition from cross country to downhill there are some things that you should definitely be aware of. While downhilling definitely requires very finely developed skills, I found that the biggest thing standing between me and conquering various jumps and drops wasn't the lack of skills, but rather the lack of balls. Actually, I wouldn't say that I lacked balls. I think that I've thrown down admirably over the course of the last month for someone who had never seriously considered getting a downhill bike before this August. As you can see from the video made on my first day of downhill riding, I was already hucking off some respectable rocks and airing out some decent jumps. That's right, this video was from my first day riding the Taka on dirt. So what was really the issue could more accurately be defined as "the fear factor." After dropping several 4-5 foot drops without any problems at all, it wasn't much of a stretch to think that I could easily go off of something 7-8 feet high. Still, it was the end of the day, and the thing looked so huge! While I probably had the skills to conquer it, my eyes and my fear got in the way. The mental determination and commitment that it takes to be a talented downhiller is very similar to that required by a freestyle or big mountain skier. The mental process requires you to make yourself go for something (hit a jump, drop a cliff) even though it scares the crap out of you. It might require you to put aside rationality for a few seconds: you can't think too much about the possible consequences of a crash. If you think, "I could mess up this take off, fall face first off this cliff and rag doll down the hill and die," you aren't likely to hit said cliff. But conquering those thoughts is a tough task. As I used to say back when I lived near snow, "the best skiers (or snowboarders) are some of the most immature." It takes a child-like immaturity to throw down in spite of the consequences. I can't complete this blog post without giving this an honorable mention. While I feel like I personally acclimated pretty quickly to downhilling due to my love of all-mountain riding, I am very aware that there are a ton of skills and techniques that would help me become a much better downhiller that I simply don't know about or can't do. Yes, transitioning from cross-country pedaling to downhill shredding is a huge adjustment requiring different physical strengths and massive balls. But make no mistake: good downhillers have absolutely mad skills on top of everything else. Downhill mountain biking is truly a sport in its own right, and is absolutely disparate from cross-country riding. Still, if you are willing to venture off into new territory and take on the challenge of downhilling, I think you will be handsomely rewarded with years of adrenaline and fun! Your turn: What does it take for you to overcome your fear and just do it anyway? True downhilling is radically challenging in several areas, even for the all-mountain rider. First, it is a very real physical challenge, even if you're an accomplished cross-country or all-mountain rider. While there may be a little bit of an aerobic challenge due to the length of the trails, your quad muscles (which all of us who spend our days grinding up big hills have developed to ungodly sizes) get very little work. During a 6 hour day of riding at a ski resort, I don't recall feeling any sort of fatigue in my quads. Instead, some of my other muscle groups bore the brunt of my exercise. The two places that I felt the most soreness were in my forearms and calves. During repeated runs down steep, rocky trails, your forearms are bound to get a workout by constantly hauling back on the front end as you loft off of rocks and jumps, absorbing the chatter of extended root sections, and constantly working the brakes through all of the above. By the end of the day I had a permeating soreness in my forearms that reminded me of the aftermath of a full day of rock climbing. It's easy to see why a cross country rider's forearms wouldn't be up to the task of a long day of chairlift riding. But why did my calves get so sore? Simply from having to support my body weight the whole time. As a cross-country rider or even an all mountain rider, we spend most of the time pedaling with our butts in the saddle. It is much more efficient because we don't have to support our body weight and can focus on drawing out our energy over a longer period of time instead of going hard out of the saddle on all of the climbs. During a long day of downhilling, on the other hand, clearance over the saddle is crucial due to the big jumps, drops, and rocks. You need to be able to move back and forth and up and down without worrying about getting hung up on anything. So, the saddle inevitably gets dropped almost all the way down and is there as more of a token piece of hardware than something of real use. As a result, you are constantly supporting your weight as you jam through all of the nastiness that the ski resort may offer up. It's a great calf workout, and one that I wasn't ready for. In summary, prepare to get a different sort of workout, but a workout nonetheless! It will take time to become a physically strong downhiller if you aren't used to using those muscles in such an intense way. Your turn: Are you with me? Do you fatigue in a similar way during intense or extended descents? I'd love to hear your thoughts and comments below! 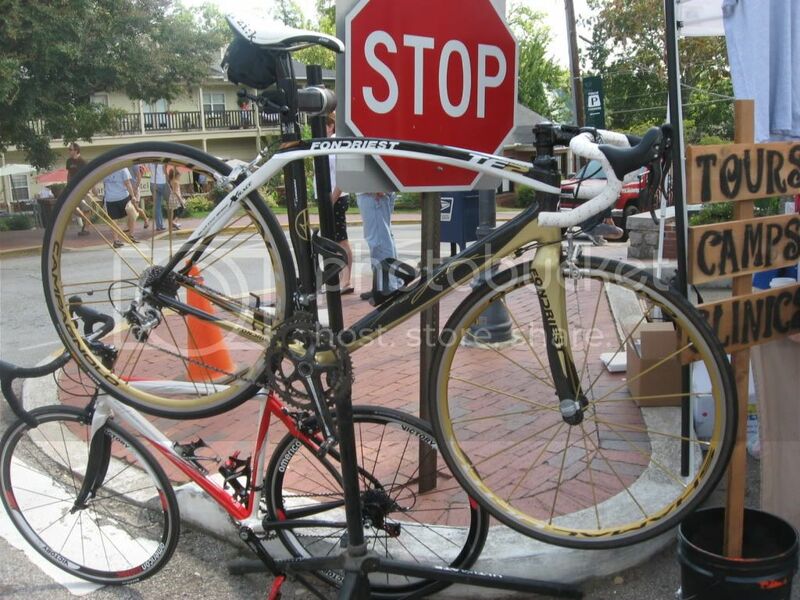 Both of the major bike races held this year in Dahlonega were plagued by heavy, drenching rain. The 5 weeks between those two races were almost completely bone-dry. Riders during the Fools Gold 100 got completely soaked, and the photos I have seen from the 104 mile Six Gap road race yesterday all looked miserable as well. I guess if the farmers ever need a good rain, we'll just plan a bike race! Since I'm not a road biker, I actually cared very little about the Six Gap race (except for the fact that one of my friends entered.) 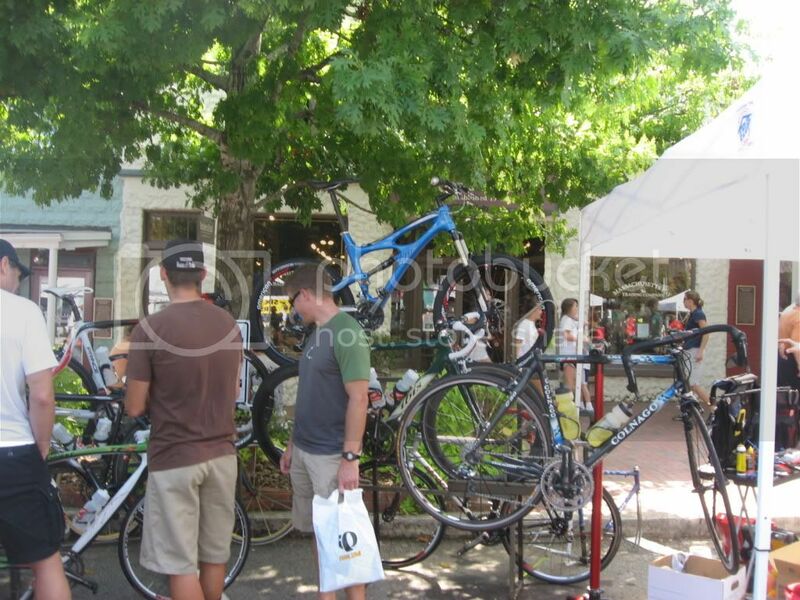 But, as a part of the whole race-weekend atmosphere, several bike shops and vendors held an expo downtown on the square, showcasing some pretty sweet looking bikes! 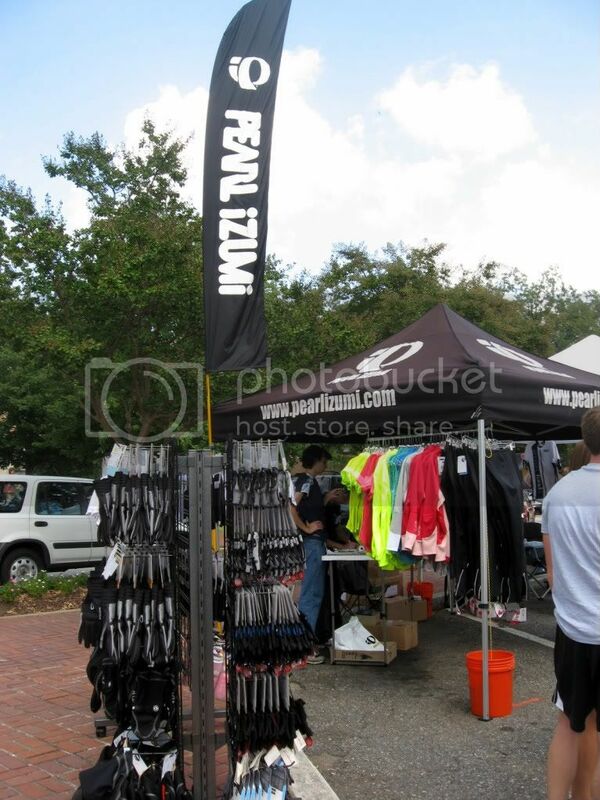 I went down to check it out and yes, there were some mountain bikes among them! 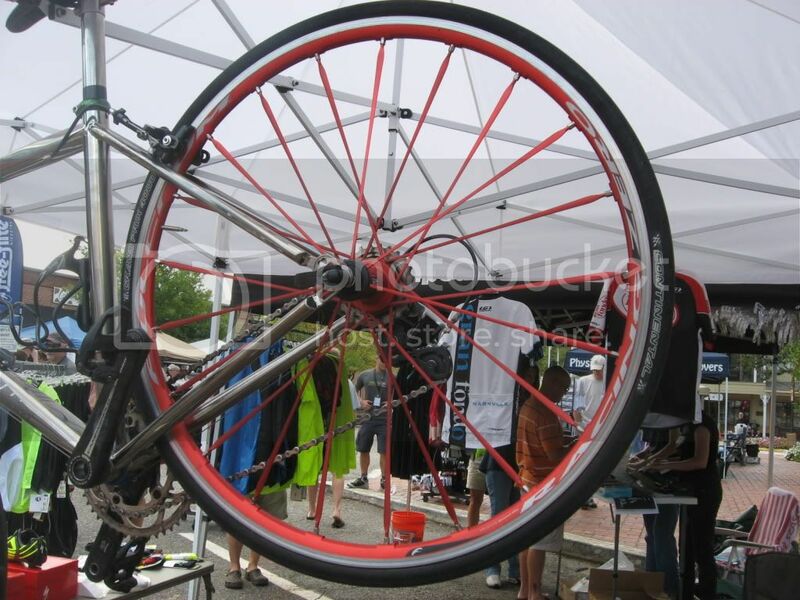 Lynsky bikes from Chattanooga, Tennessee was in attendance, and was one of the only exhibitors featuring mountain bikes. 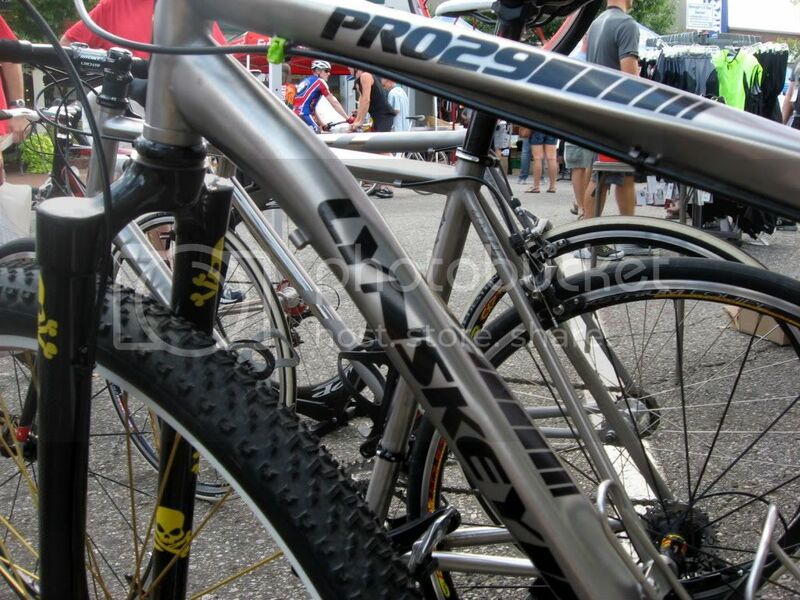 Not only did they have some mountain bikes set up, these were some mountain bikes! Lynsky produces strictly handmade titanium frames, and the two 29er models that they had on display were sickeningly light! 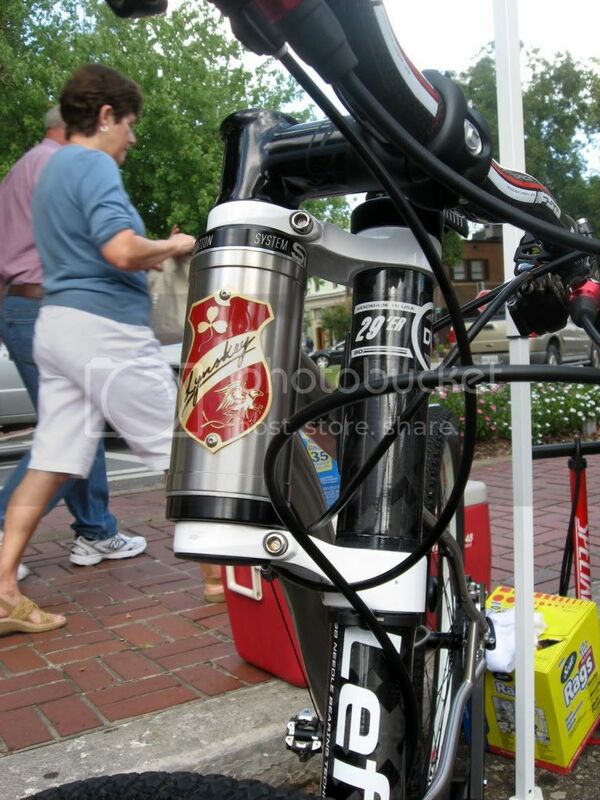 Their other 29er featured a lefty. 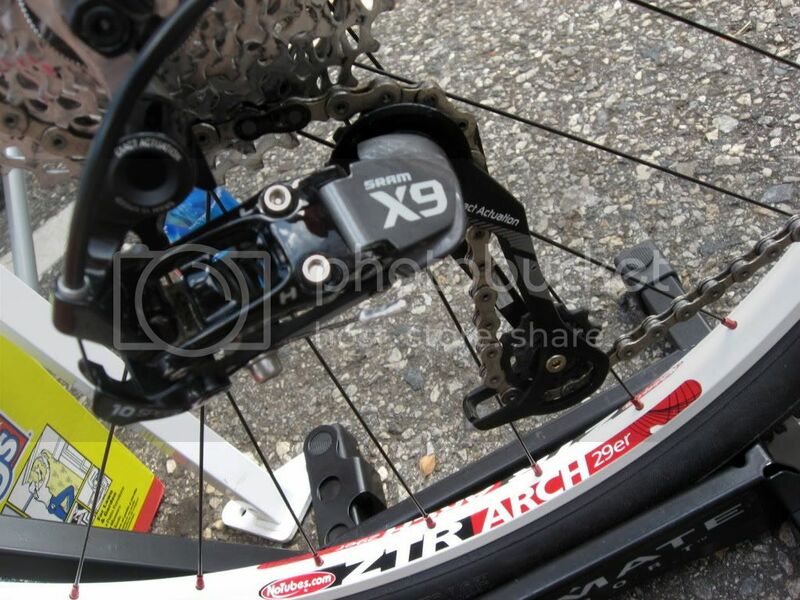 And a new X-9 rear derailleur. 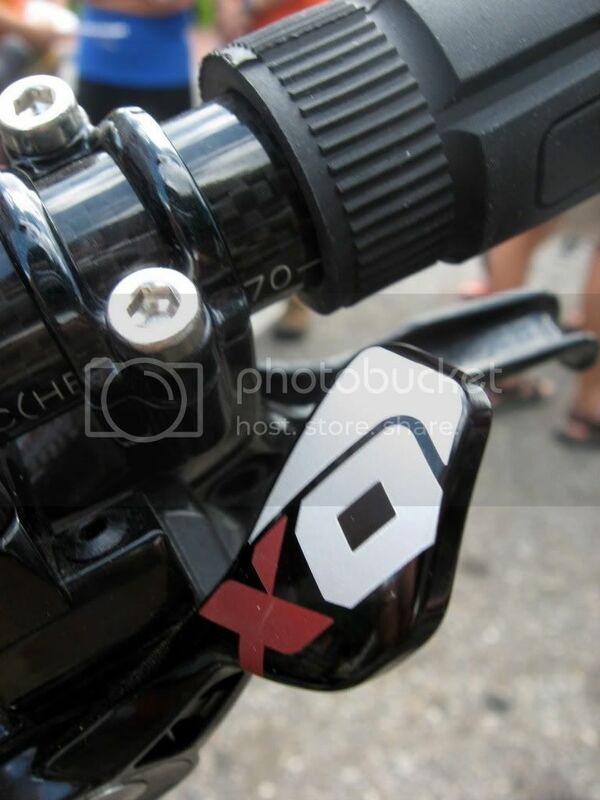 Lefty and Lynsky head badge. If you are looking for a truly unique handmade-in-the-USA titanium mountain bike, be sure to check these guys out! 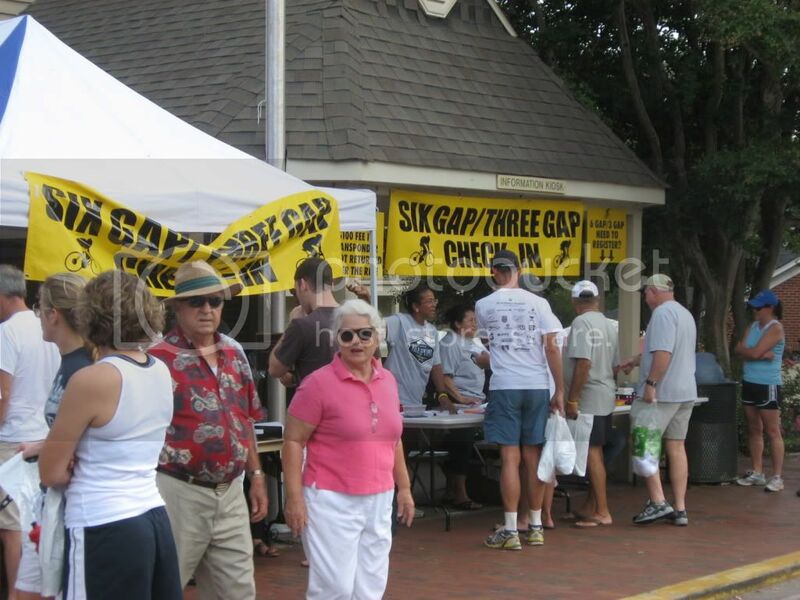 Six Gap race registration. Some how I don't think they're doing the 100 mile route. 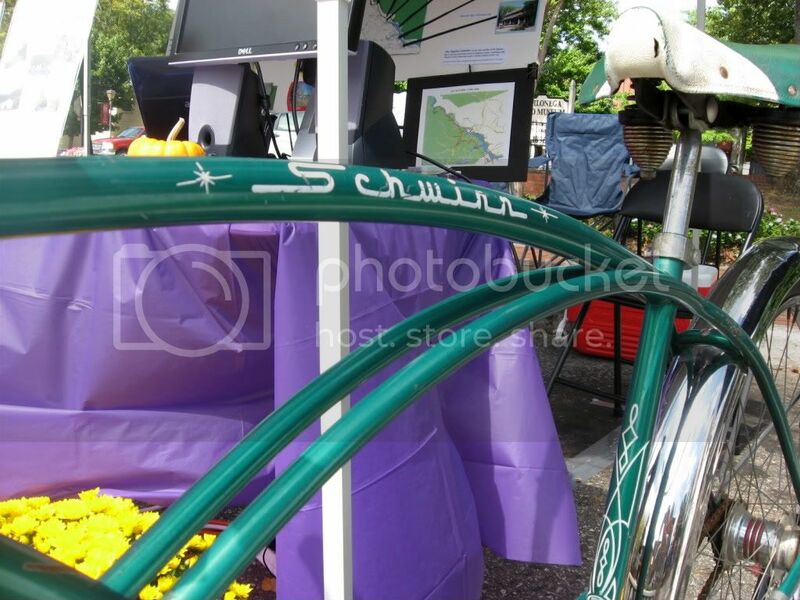 Part of the display by our local shop, Dahlonega Wheelworks. 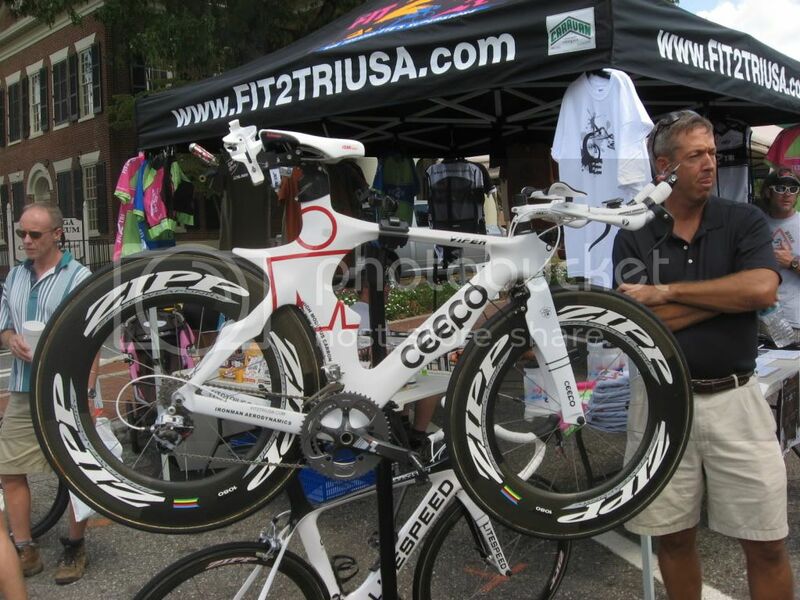 In the back is a pimped out Ibis Mojo that is usually in the front window of the shop. 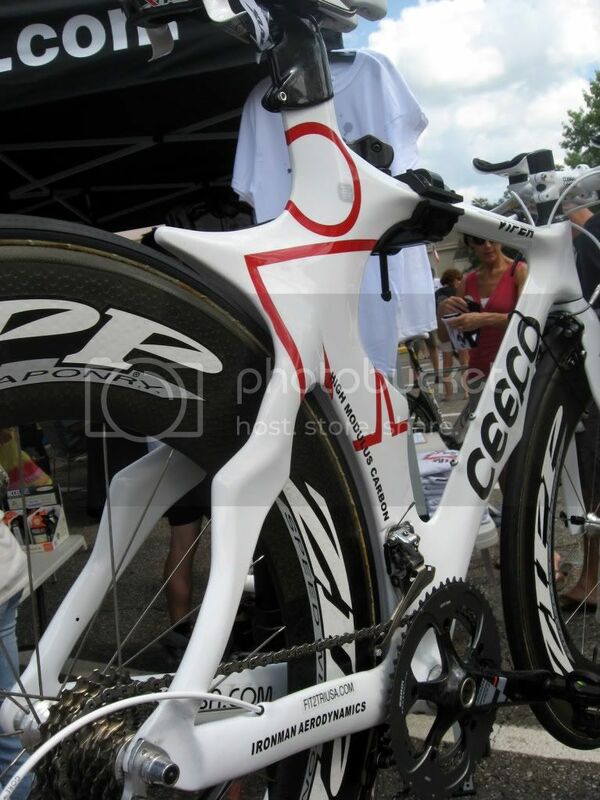 Sweet bike! 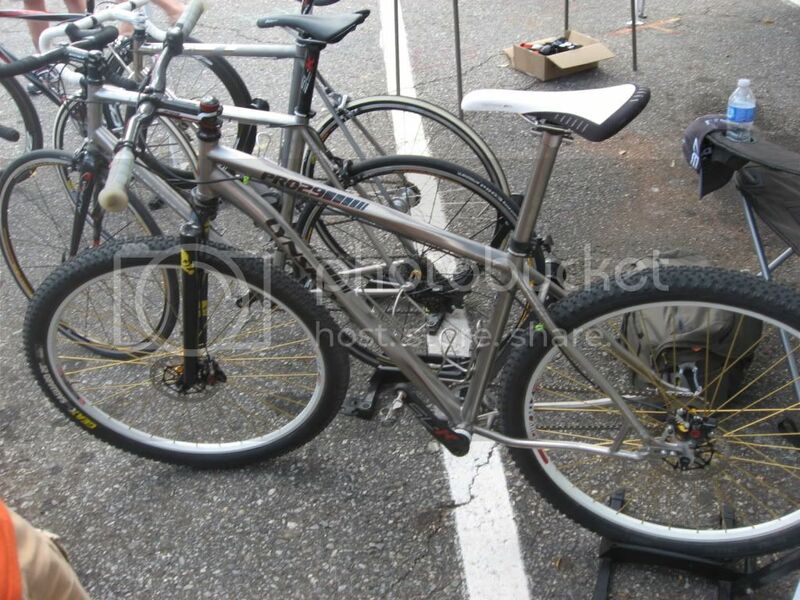 $1250 for used wheels? 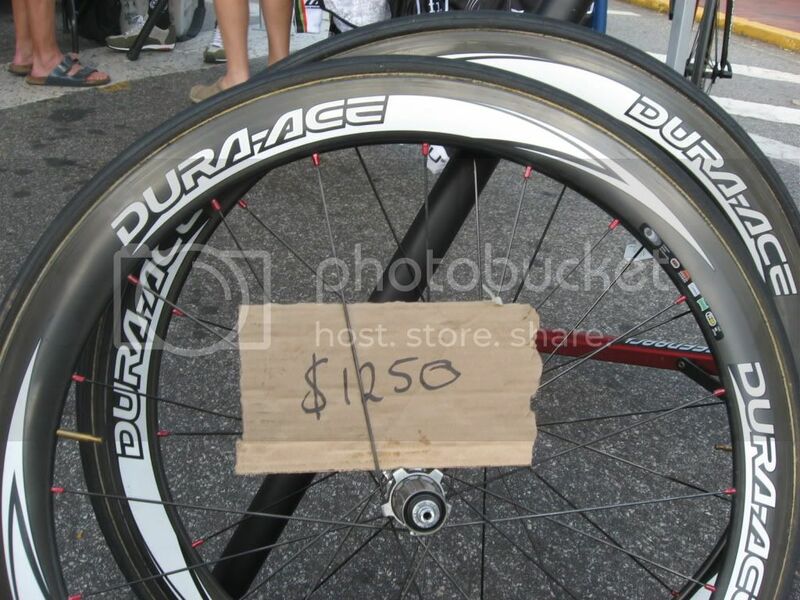 Road biking is crazy expensive! This thing is crazy! I don't want to know how much it costs. Coming Next: Part 2 of the downhill series. 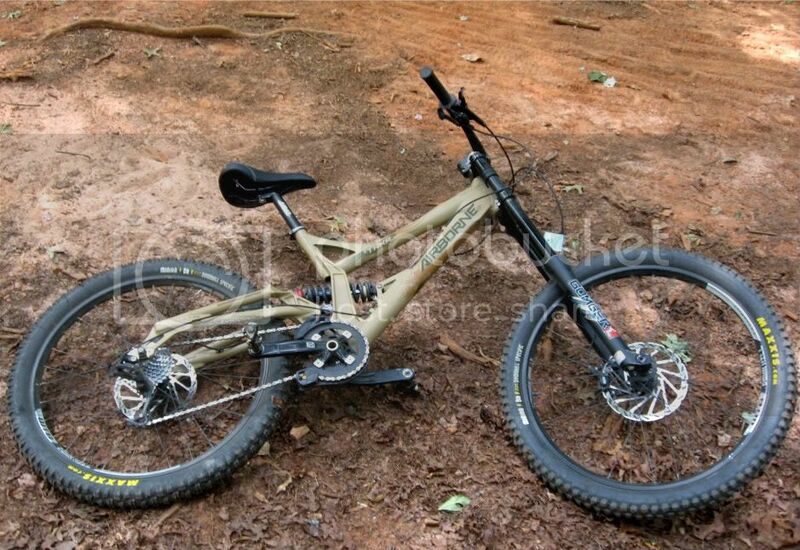 I have wanted to get into downhill mountain biking for a long time. Gravity-fueled adrenaline-pumping sports are what I'm all about. I come from a background heavy in downhill skiing, so riding a lift and shredding downhill at high speeds come very naturally to me. After spending a little over a month riding a big 8" travel rig around, I feel like I've had a healthy dose of downhill riding, and am starting to understand what it's all about. And let me tell you: downhilling is big, it's bad, and it's tons of fun! Downhill mountain biking has got to be one of the coolest sports I have ever done during the summer time! I love getting to rip downhill at high speeds, and the feeling of the suspension just eating up all manner of rocks and roots as you bomb down a narrow trail is just addicting! 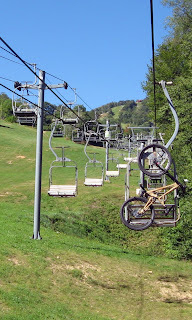 After a short transition period, I think I would almost completely give up cross-country riding if I had a place nearby where I could take a chairlift to the top. 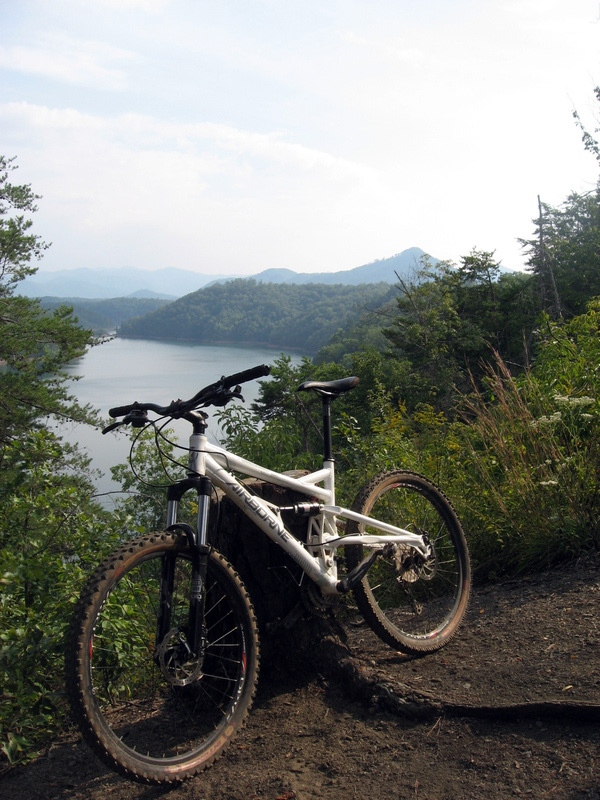 Essentially, downhill mountain biking is a sport that is distinctly separate from that of cross country mountain biking. I have wondered why there were some websites on the internet that seemed to focus exclusively on gravity-fueled bike disciplines (Pinkbike), and others that seem to be much more focused on cross-country riding (Singletracks). The reason is that these sports are totally different. At times, it feels like there is very little in the way of skills and techniques that cross over between cross country and downhill. Then there's all mountain. All mountain riders are stuck somewhere in the middle between cross country and downhill, and they don't know really know what the crap is going on. The all-mountain mountain bikers just know that they like riding bikes, and coming down hills at high speed, despite whatever sort of junk might be sitting in the trail between them and the bottom of the mountain. This is the largely undefined category that I find myself sitting squarely in. Because of my great love for high speeds and gnarly trails, those descending skills transferred over pretty well to the big-hit bike, but I still felt a little unprepared. 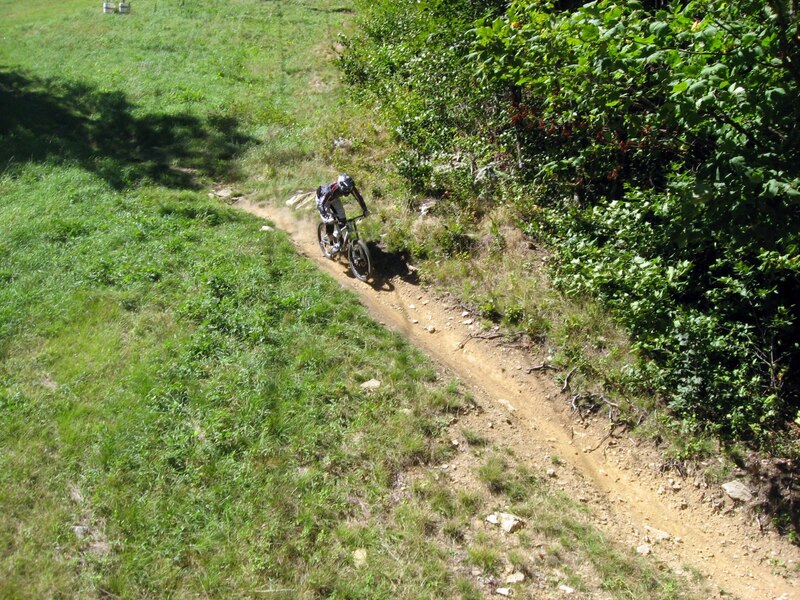 So in what ways exactly does downhilling differ from cross-country riding? Well over the next 2 posts I will cover, in detail, several significant ways that downhilling stands apart as its own sport. Stay tuned! 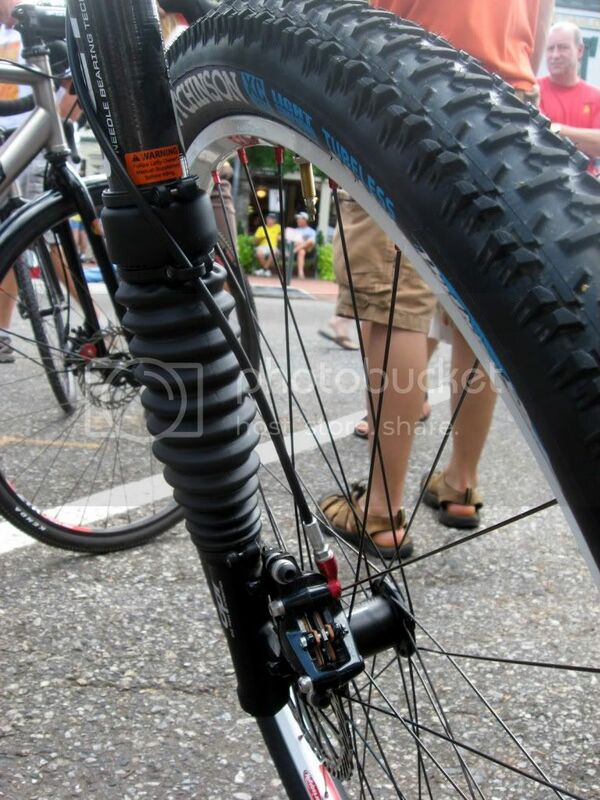 Your Turn: What is your opinion on riding style/bike style classification? What categories do you recognize as legitimate? And does it really matter that much? 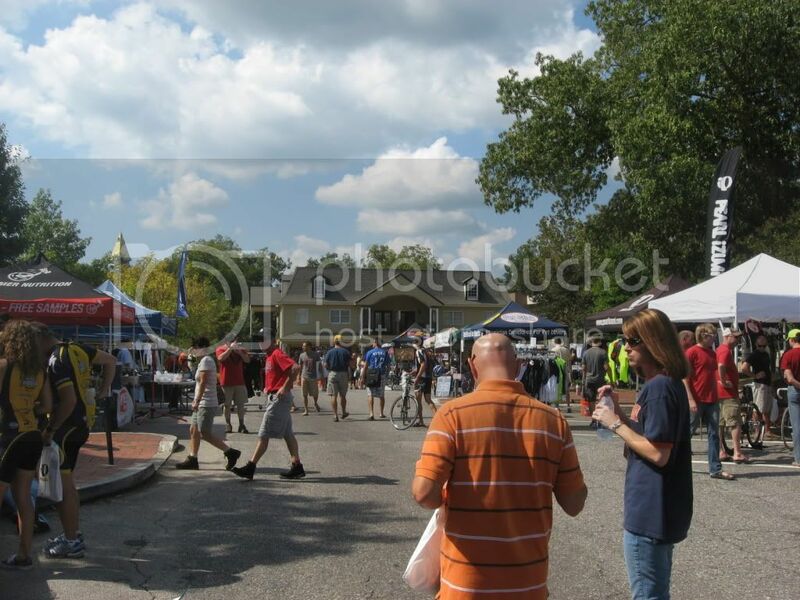 Dahlonega: High's in the 80's. I just found out that today is officially the first day of Fall. You could have fooled me, because it is not fall down here in Georgia! I have seen so many beautiful fall photographs from Wisconsin, Montana, Colorado, and Utah, and I wish I was there to enjoy it! Georgia couldn't feel further from any of those places right now. We are still dealing with highs in the upper 80's, which isn't fall-ish weather by anyone's standards. And THEN, the "brown ice" descends upon us. Coined by a person much more artistic than I (from BikeMag, I think), the phrase "brown ice" refers to the thick carpet of leaves that envelopes the singletrack when all of the trees lose their leaves at what seems like the exact same time. Suddenly, an easy covering that it now has. You wash out in previously tacky corners, and normally obvious rocks become a dangerous challenge due to the slippery brown covering. 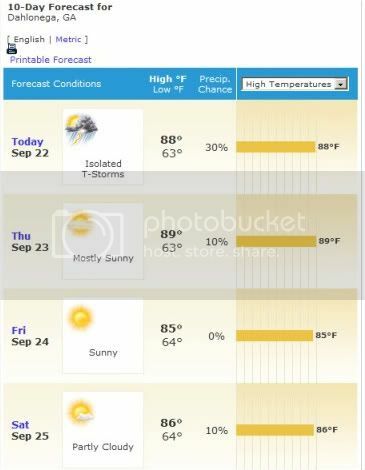 Oh yes, I can't wait for fall! But it definitely is not here yet. Your Turn: What are you looking forward to most this fall? Out of all four trails in the Tsali trail system, this one has to be my favorite! 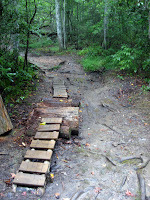 I personally think that this was the most interesting, picturesque, and downright-fun trail to ride in the area! So why does this loop, in my opinion, rise above the other Tsali trails? There are 3 main reasons. 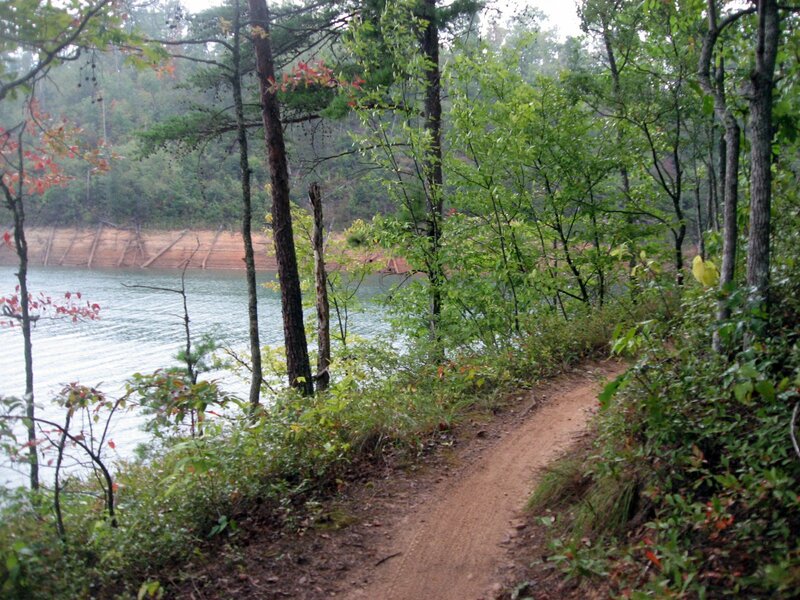 Out of all the Tsali trails, the singletrack on the Left Loop spends the most time running with Lake Fontana in view. 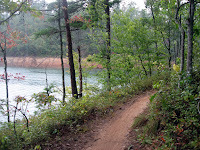 In fact, much of the trail is as close to the water as it could possibly be. 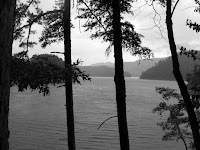 In the rest of the trail system, whenever Fontana comes into view, it is usually off a ways and about 30 or 40 feet below. At the furthest end of the Left Loop the trail is like this, but for most of it's length it runs right above the highwater mark, offering a different perspective and a visually immersive experience! Be careful that you don't spend too much time looking at the immersive view of Lake Fontana--because if you're not watching the rocks on the trail, that phrase is going to become a literal reality very quickly! While not very rocky in the grand scheme of things, when compared to the rest of Tsali the Left Loop offers up a welcome challenge! 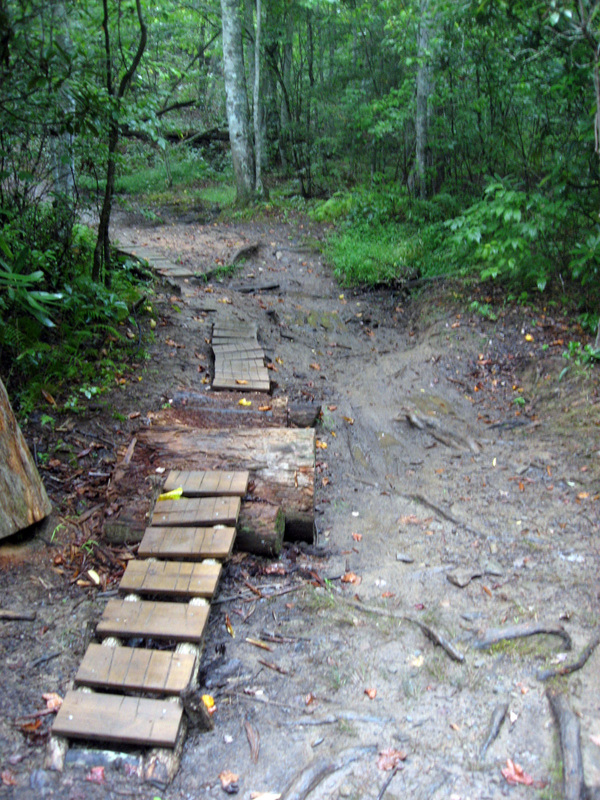 There are several respectable rock gardens/obstacles, and most of these are located on the singletrack that sits right above the water. These rocks really do promise you a swim if you don't nail them just right! But most riders with any halfways-decent technical handling skills should be able to tackle these rocks, if they stay focused. Still, its a welcome change of pace from the miles and miles of buff roller-coaster singletrack. 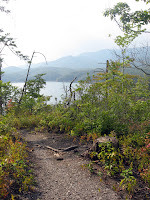 Besides one short spur off to the overlook and one short crossing over a parking lot, there are virtual no navigational decisions that need to be made on this trail. 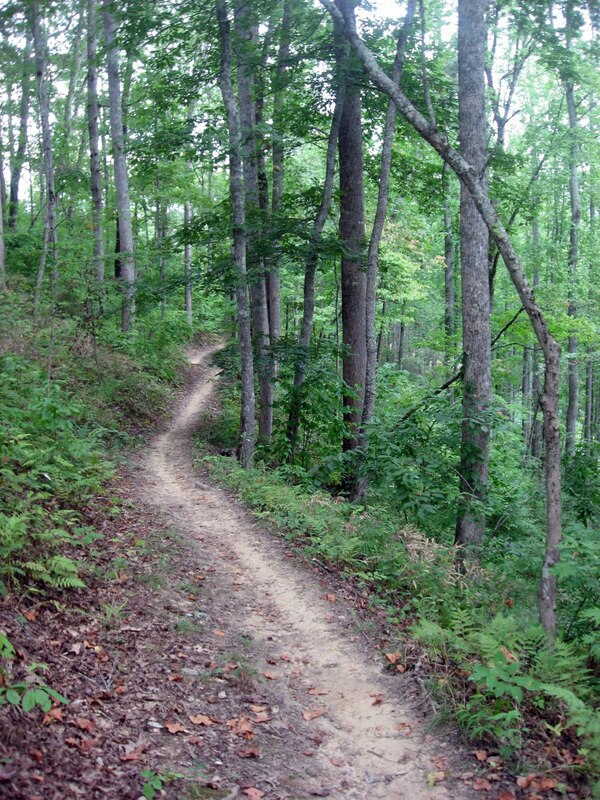 When compared to many of the trails in North Georgia and North Carolina, the Left Loop is a welcome relief from the constant barrage of navigational demands. Instead of having to worry about which forest road this is or where that trail goes, you can just push the cranks and ride. And ride and ride and ride! There is an approximately 8 mile section of singletrack that doesn't cross a single other trail or road--and it is such a welcome relief! Here is a point where the Left Loop differs from the rest of the Tsali trails, but it doesn't necessarily make it better or worse. Simply put, this loop climbs and descends less than any of the others. This is mainly due to point #1: it follows the contours of the lake at pretty much the same elevation. So while I don't think this factor positively or negatively influenced how I enjoyed the trail, if you are looking for a flattish ride in North Carolina, the Left Loop might be for you. 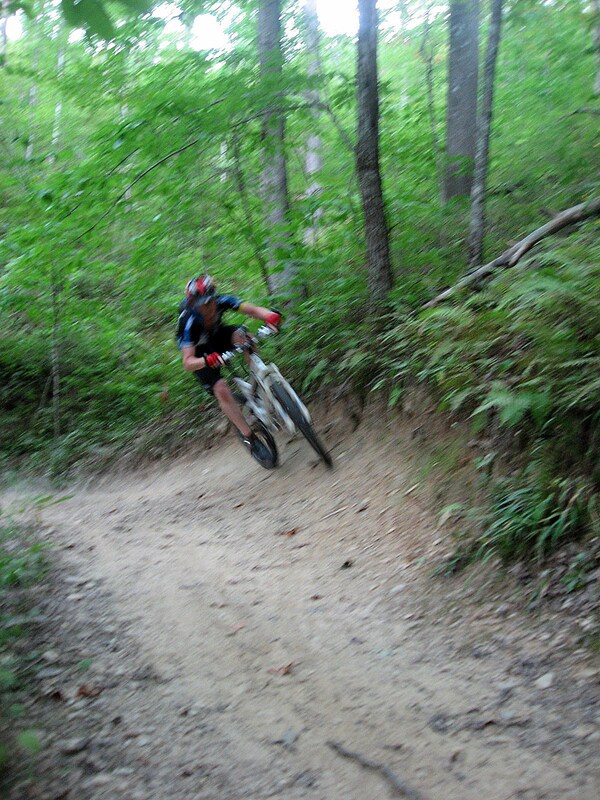 This is one of the best trails I've ridden in all of the Southeast! From the sweet, serpentine singletrack to the stunning views, to the entertaining rock gardens, to the rejuvenation of the deep woods: Tsali's Left Loop offers up a generous dose of mountain bike perfection! Get out there and Ride It! 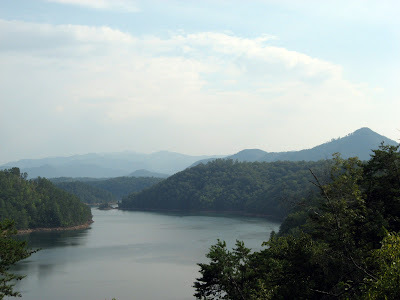 Head West 8 miles from Bryson City, North Carolina on Hwy. 74. Hang a write on NC 28 and go about 3.5 miles past Freeman’s Motel. The turn off onto the Tsali road will be on the right with a sign. Head down that road about a mile and a half, and there will be big signs for the parking lots (on your left). I decided to take the advice that Timm Muth left in a comment, and combined the Left and Right loops into a big 20 mile whopper of a ride. The Right and the Left loops can both be ridden as a 10 mile loop with the gravel road that goes straight through the middle of the big loop. Unlike the Right Loop, there are no bailout options on the left trail. There is one short option to head up to an overlook, but after that it's pure singletrack with zero intersections for 90% of its length. Being able to just ride and ride and ride is a welcome relief! 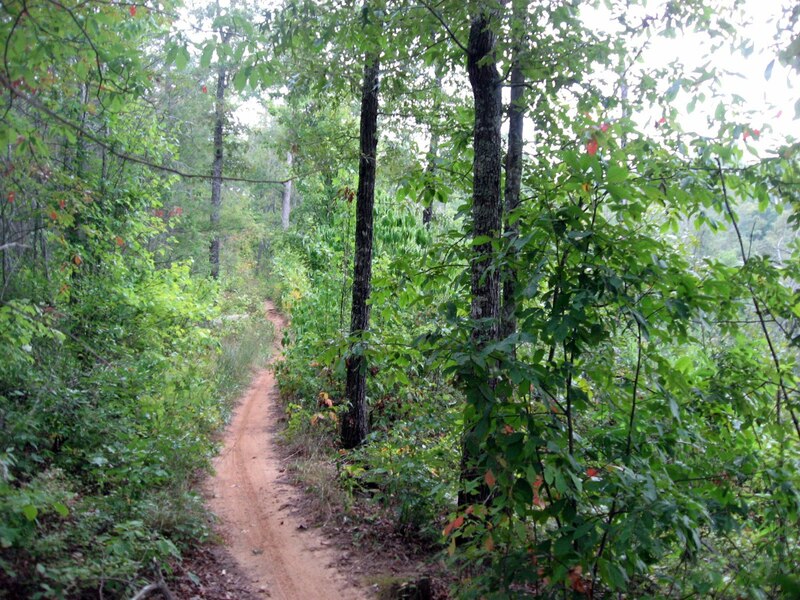 There's a $2 per person fee for riding the trails. The Right and Left loops are open to mountain bikers on Monday, Wednesday, Friday, and Sunday. Camping is available in the adjacent Tsali Campground. 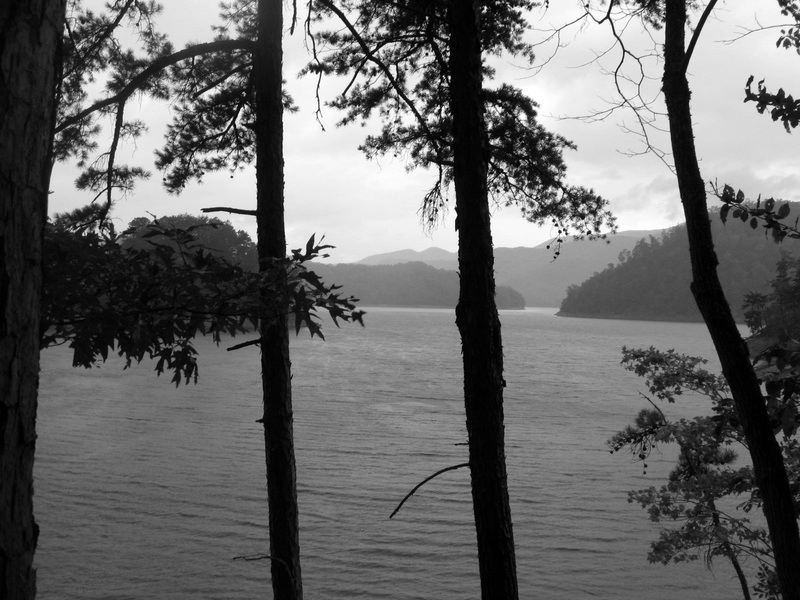 Primitive sights start at $15 a night, but there are facilities with running water, flush toilets, and hot showers. I am a man who holds certain values in very high esteem. 3 of these values are almost synonymous, yet have subtle differences. In the context of a blog, these differences become apparent and can complement each other well. They are: commitment, consistency, and dependability. Life happens. 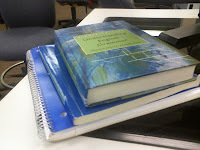 Duties and responsibilities pile up. School and work get in the way of what I wish I was doing. Lectures, homework, papers, and tests all impinge on my time. I know that I'm definitely not the only person in the world who is busy, so I'm not complaining. Instead, I'm just stating the facts. The fact of the matter is, I don't have time to blog 5 days a week and keep up with my responsibilities, my relationship with my wife, and my time on the mountain bike. So today I am making a commitment to consistency so that you, the readers, can be assured of my dependability. I am committing to publishing at least 3 posts a week. As I mentioned a week ago, setting specific goals helps provide a target to aim for, and a standard to know when you've achieved what you set out to do. I am publicly setting a goal of blogging 3 times per week, which is still quite a bit all things considered. Dependability is one of the values that I prize most highly! Naturally, it is a quality that I want to embody. I want you to know that you can depend on me to publish my 3 posts per week. Overtime, my consistency should in turn prove my dependability to you. I am officially decreasing the number of posts that I'm trying to write a week because yes, I'm busy. There is the temptation to still post 5-6 times a week--but I know that the quality of those posts would be pretty low. They wouldn't be interesting, informative, or useful. Instead, I'd just be typing to take up more space on the interwebs. In lowering my goal to 3 posts per week, the objective is for me to turn out 3 quality posts per week that maintain my previous post quality or even surpass it. I am depending on you to keep me accountable. If you feel like I'm getting lazy then please, let me know! As always, thank you for reading Greg Rides Trails! Now I'd love to hear from you. What qualities do you admire in other people, and which to do you try to embody yourself? For the average Joe, these kinds of sublime moments of beauty in God's creation can be very rare. 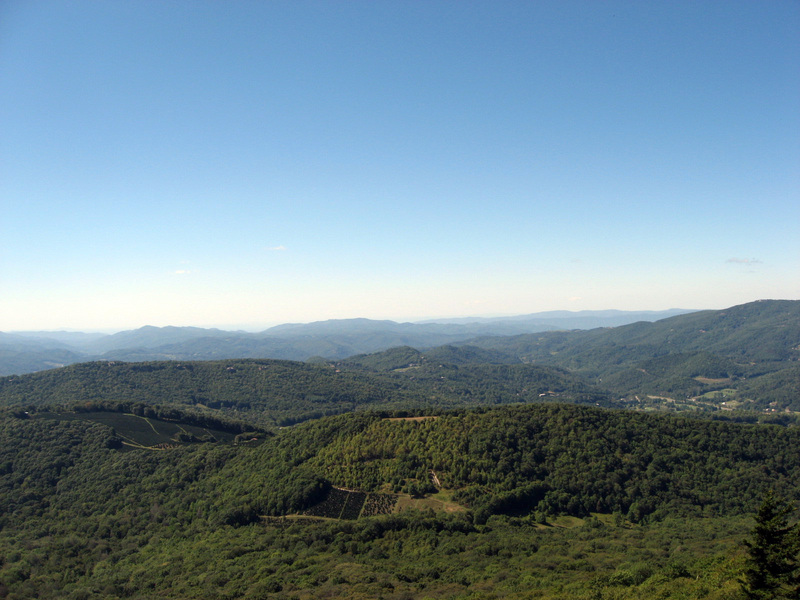 But for the avid mountain biker, they are around every corner if you take the time to look! 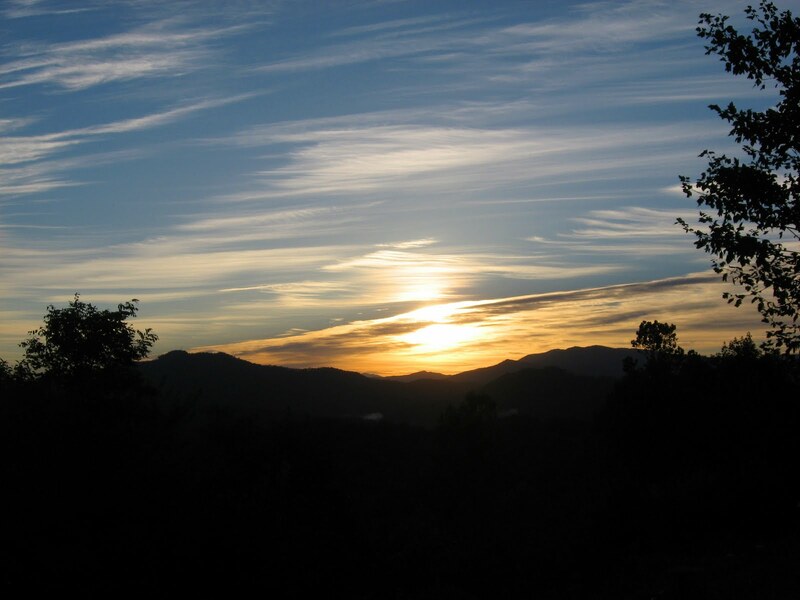 I caught this sunrise at an overlook near the Tsali trail system. 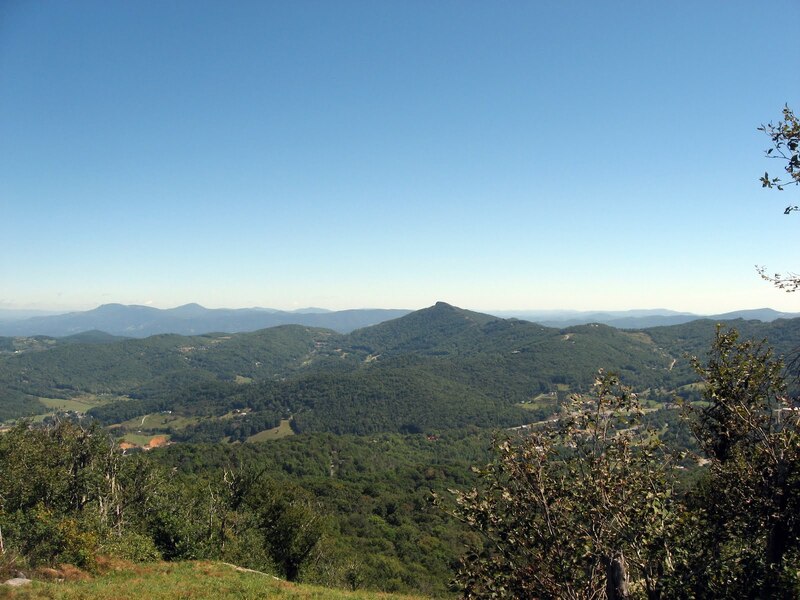 Over the course of my short 3 day biking trip, I have fallen in love with the mountains of North Carolina. Personally, I have found that big mountain bike trips where all I have to do is ride, eat, drive, and sleep tend to yield these amazing mornings and grand vistas. 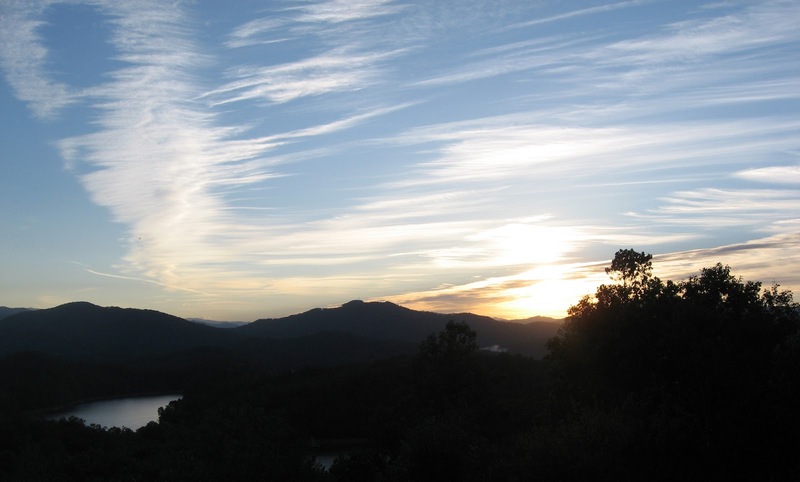 When or where do you most often experience breathtaking views? Because of that, I'll focus on the differences. The Right Loop seemed to contain a lot more climbing than any of the other trails in the system. 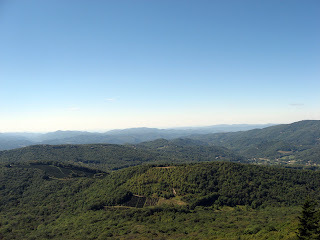 There was a fair amount of alteration between climbing and descending, especially towards the overlook. 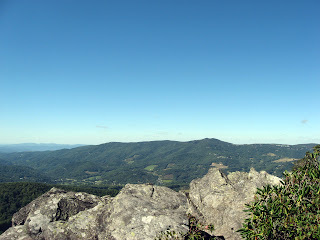 Some of the climbs on the overlook trail were actually pretty aerobically challenging, especially on the way back. The tough climbs to get there are totally worth it, because the overlook is phenomenal! The views of the lake and the mountains in the background just can't be beat! After riding down from the viewpoint to rejoin the small loop, if you hang a right and ride the outside of the loop the trail emerges from the forest high on the same ridge providing even more generous views of beautiful Lake Fontana (see the photo at the beginning of this post). Keep your eyes on the trail though: it's narrow and overgrown due to the ample amounts of sunlight. One last factor that sets the Right Loop apart from the rest of the trails is the amount of navigation required. While most of the trails are pretty well signed, there are way more options for bailouts or alternate routes on the Right Loop than on any of the other Tsali trails. This can be really beneficial for a beginning rider in case they get in over their head, but it could also be bad for a beginning rider, as they might make a mistake reading their map or the signs. Still, the signage is really good, and it is almost impossible to get genuinely lost out there. Sweet singletrack with awesome views and enough length to provide a good workout? Yes, yes, and yes! Tsali is tough to beat! Blurry Photo of Patrick Railing a Berm. 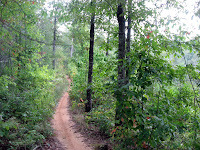 There are many such berms spread throughout the trail system. As I mentioned in the review above, there are two different bailout options along the way, which can be really good if you're in over your head, or can be really bad if you are navigationally challenged. 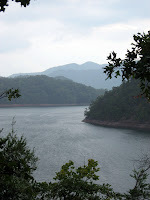 View of Fontana Lake from the overlook on the trail. At the beginning of the year, I decided to set some very specific mountain biking goals for myself. I wouldn't exactly call them New Year's resolutions, as we all know those are destined for failure! Rather, I just wanted to take my mountain biking to an HNL (whole 'nuther level). To achieve that, I decided to set some very specific goals so I would have something to achieve to, and so I would know when I had accomplished what I'd set out to accomplish. 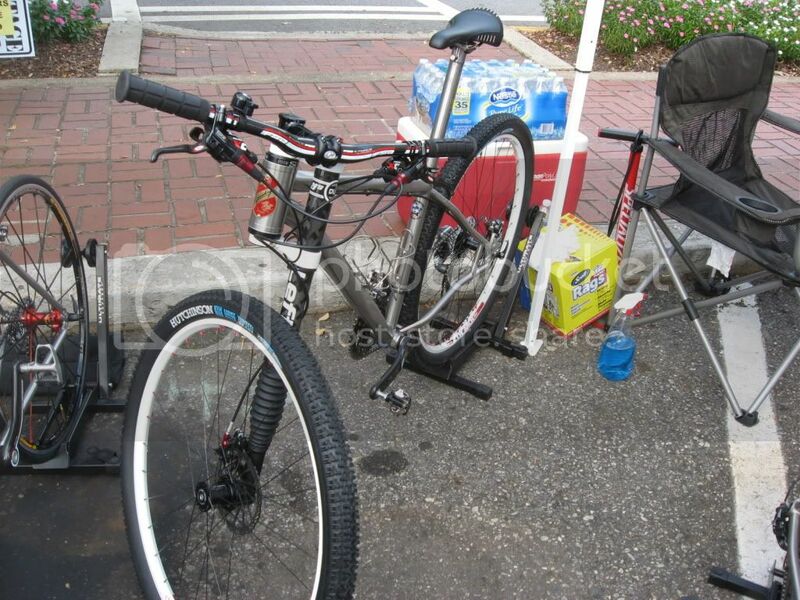 Ride 2,000 miles on my mountain bike (as compared to 1,100 in 2009). Up my average ride length. 1st, I want to ride 1,000 trails as listed on Singletracks. If that's easily achieved in the course of ten years or less, maybe I'll up it to 2, or even 5 thousand. How Close Am I to Achieving My Goals? Not very. If you've been reading the blog for a while, you'll know that I dealt with some very severe back issues for about 5 months from mid-March to early August. My riding time was severely limited during those months, setting me very far behind on my goal of 2,000 mountain bike miles this year. 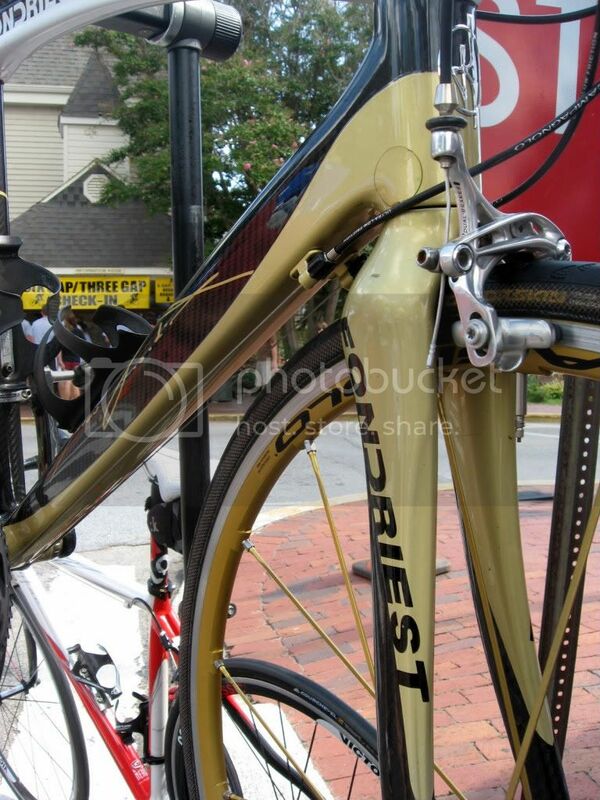 Also, the spring racing season in Georgia was in full swing when my back pain really intensified, and I knew there was no way I was going to be able to ride fast (if at all). A meager 37.5 miles during one of the most beautiful months of the year, and I had no school to worry about. It was misery! During the month of July I slowly started stepping it up, and then August was a great month of riding! Still, there is no way I'm going to make 2,000 miles this year. I'm currently sitting just over 900 miles on the year. When the unexpected happens, it is vital to be able to modify your goals accordingly. In response to these dismaying setbacks, I decided that a more realistic mileage goal for the year would be at least 1,000 miles, and to try for 1,500. As far as racing, there are still a few races left in the season... I may be able to enter one! This concept is important: don't feel so bound by your goals that you feel like a failure when something totally unexpected and unpreventable gets in the way of something you have set your sights on. Life happens, and while it is a huge part of my life, mountain biking is not my highest priority. Your Turn: What do you do when unexpected things crop up and hinder you in the pursuit of your goals? In "Success and the Goal Setter," Bettie B. Youngs tells us, "Goals represent expectations, hopes and dreams, and to the extent our goals are achieved, we are successful." Setting goals is a great way to push yourself to new and greater heights. This definitely holds true in mountain biking as well as other areas of life. Without specific, concrete goals in place, where do we get the motivation or the drive to turn ourselves into better riders? Without an objective in place, it is easy to settle for the same-old-same-old and completely stagnate. Even if you're a great rider, if you don't continue to push yourself to new levels, backsliding into mediocrity is a very real possibility. Goals and dreams give us the motivation that we need to strive for greater things! When you're setting a goal, it is imperative that the goal which you set is attainable Setting an unrealistic goal is only setting yourself up for disappointment, failure, and possibly worse (quitting the sport). 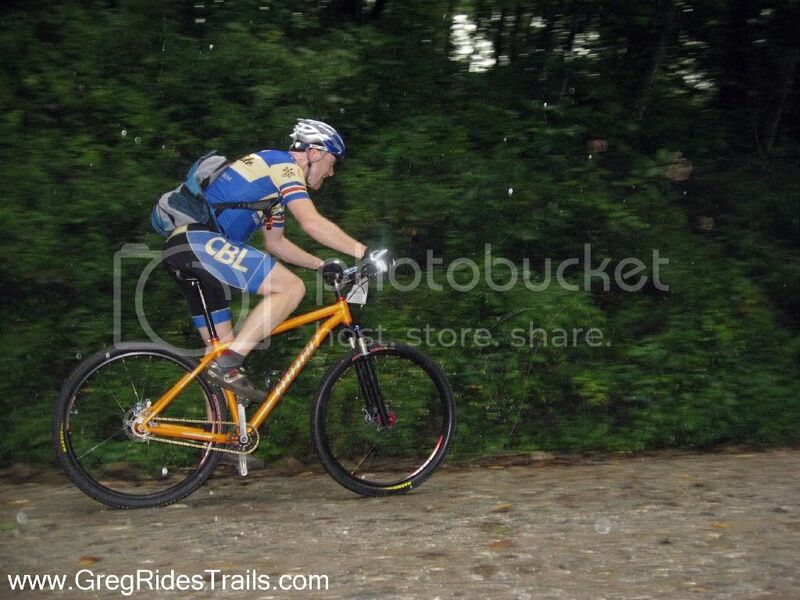 For instance, I know that I will never be in the type of beastly aerobic shape that it takes to win the Leadville 100. If I tried to achieve that goal, I would be utterly disappointed. A reasonable goal, on the other hand, might be to enter and complete the Leadville 100. Whatever goal that you set, it should also be a challenge. It should require enough work and effort or be far enough above your current ability level as to cast some doubt on your actually achieving it. If I were to set a goal that I knew for a fact that I could achieve, such as riding 200 miles on my mountain bike in one year, I might feel satisfied once I had reached that level and would end up underachieving. The goal must be a challenge. For some people, it may be setting a goal of beating X number of people in a certain race, or winning said race. I naturally have a very competitive personality, and can see the allure of setting such goals. However, I think that setting goals which show how much you have bettered your own abilities are much more satisfying in the long run. As Bettie B. Youngs said in the quotation at the beginning of the post, "to the extent our goals are achieved, we are successful." I personally find it very satisfying to set goals that I know I can achieve, given enough effort and time on my part. If you measure your success based off of someone else's standard, there is a good possibility that you will never measure up. If we continue with our current line of reasoning, that would make you or I a failure. So set a goal that is attainable but still a challenge, and preferably one that measures your success against your past performance and not someone else's! Now once you have set your goal, get out there and achieve it! Part 2: Modifying Your Goals. Your turn: What other criteria do you think about when you set a goal for yourself? I've only scratched the surface of this topic: I'd love to hear your thoughts on it below! 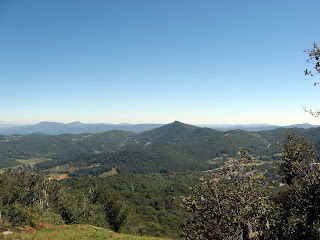 When I left on my journey up to Sugar Mountain, I really had no idea what to expect. I watched a few videos of people riding there from years past, but they still didn't really give a very accurate presentation of what Sugar was really like to ride. 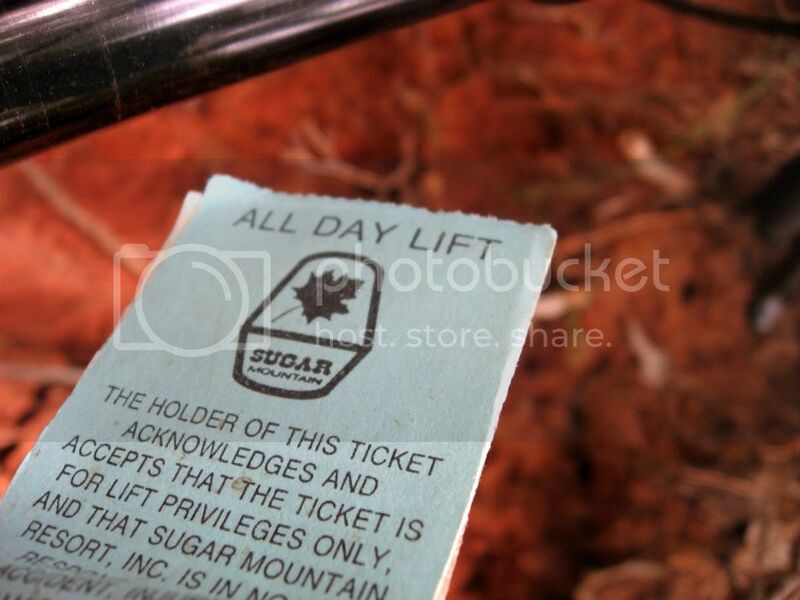 Here's the first thing you need to know: the trail map posted on Sugar Mountain's website is very misleading. 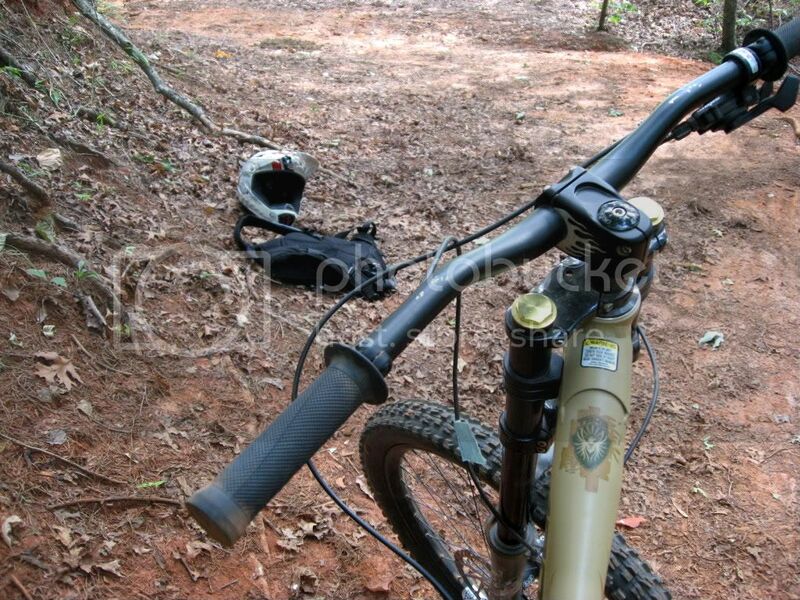 In real life, there are only about 1 and 1/2 singletrack trails for downhill riding. The rest of the trails are either entirely overgrown, or they just run down the wide open ski runs. So what about those "1 1/2" trails? They're freaking gnarly dude! The main downhill run was at one time a part of the Nationals series of downhill races, and still hosts severa different races throughout the year. This main trail begins right off the top of the resort, right of the top of the lift as you get off. 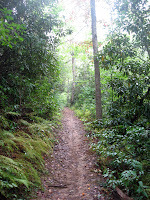 The other 1/2 of a trail is an option that you can add to the main nationals trail. To get to it, traverse across the main ski slope right before where the national's run drops down below the chairlift. The singletrack picks up in the opposite woods, descends for a ways, and then traverses back over to join the main trail. The singletrack at Sugar is incredibly gnarly! There are roots, rocks, more roots and rocks... ledges, drops, some insanely steep trails, and a few jumps thrown in. By far the coolest feature is this massive rock/cliff ride. 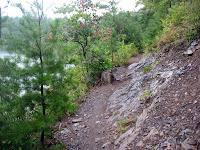 It is a part of the main trail, and as you roll up to it you feel like you are looking (and then riding) down a cliff! And really, it is a cliff. 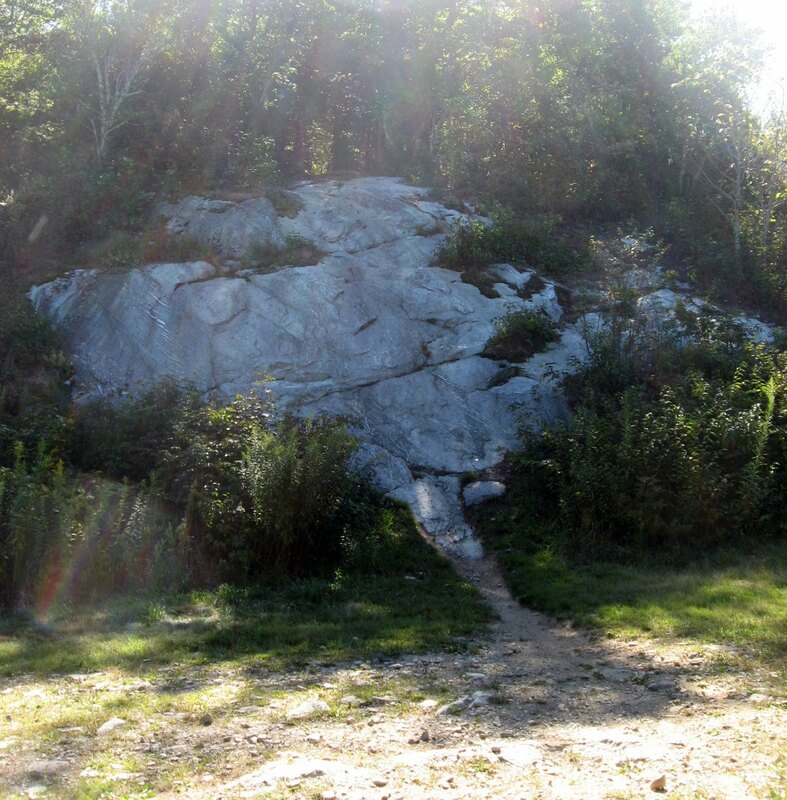 I don't know if I would have ever thought to run a trail down such a steep piece of rock! I thought that in addition to these super technical trails, there would be a run or two featuring jumps, berms, and tons of flow. That expectation left me somewhat disappointed. Besides this one awesome trail, Sugar Mountain has little to offer. The ski runs aren't any fun to ride either, as it is not a wise choice to try to bomb down them at high speed due to wheel-sucking drainage ditches running across them at regular intervals. The one other disappointing factor was the speed of the lift. While this may seem totally inconsequential, the cable was crawling up the hill like a wounded snake. Sure, there were tourists paying for a scenic lift ride up to the top, but I mean c'mon, 25+ minutes to ascend only 1,200 vertical feet? That's painfully slow! If you go up to ride Sugar Mountain, be sure to take a quick break from the relentless gnar and hike up to the overlook which is located just off the top of the lift. The view is bound to take your breath away and make you turn in circles for a few minutes taking it all in. It's that good! The lift ticket prices are very reasonable. As of the 2010 season, the cost for one ride up the lift is $12, and the cost for a full day of riding is only $25. So while the lift ride may be slow, the tourists are getting the short end of the financial stick! From Asheville, head East on I-40. Get off on exit 85 for US 221-N. Follow 221-N until you start seeing the brown ski resort signs. Follow the signs for Sugar Mountain, and there you go. To plot more detailed directions or directions from a different city, click here.